As someone who has tried and failed to do without my morning coffee shot the recent video on Facebook about Women in the Morning made me laugh out loud! I have been refining my habit so as not to end up in the same state as those women. I learned about the benefits of Bulletproof Coffee originally from a nutritionist friend – that it is high quality mountain-grown coffee that avoids the health issues created by fungus in tropical coffee, and that you drink it blended with a refined coconut oil called Bulletproof Brain Octane oil and a teaspoon of organic ghee, which turns it into a frothy milky drink that readily replaces your morning cappuccino! The brain stimulation that coffee drinkers gain is now shown to be anti-ageing and this is claimed to a super-charged route…. I found personally that the Brain Octane Oil sent my head up into the stratosphere, so I take it on a dropper with one drop per drink…. 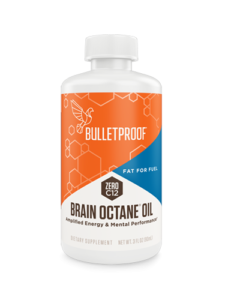 We also stock all the ingredients for the on our Resource & Rebalance Me website – and we have just added some small 3ozs bottles of the Brain Octane Oil for people like me that only need a drop. Or there’s an 16ozs size for those that want to take the full teaspoon per cup recommended…. For those for whom caffeine is just a harmful over-stimulant, then there are many non-caffeine alternatives that can be quite delicious…. 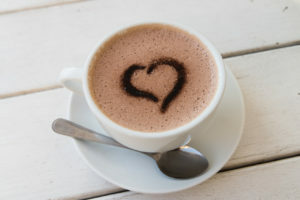 I love to make a hemp milk ‘coffee’ using kola nut powder (see my recipe blog Kola-cino) or a coffee flavouring like Medicine Flower coffee flavour, adding some superfoods and a little coconut nectar – or a dandelion coffee. Do send me your favourite recipes and I’ll give a prize to the best?